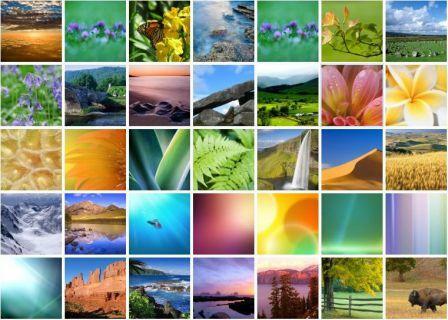 Windows 7 build 6956 has added a lot of new beautiful and attractive wallpapers as the choice for desktop background. In fact, the new desktop wallpapers may put the wallpapers that include in Windows 7 build 6801 to shame in term of both quality and quantify. Take a look at the index thumbnail below for a feel of what you will get in Windows 7. For non-Windows 7 users, the wallpapers from Windows 7 build 6956 has been copied and packaged into a ZIP archive for easy download. 35 wallpapers are available with the total download size of 31 MB. The new wallpaper includes the fish wallpaper. Also available is complete localized wallpapers collection of Windows 7 LocalPacks.